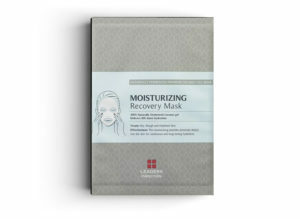 This is an ultra-hydrating mask that provides long-lasting moisture, leaving the skin feeling smooth and nourished. Peptides create a Moisturizing System by penetrating deep into the skin to give it a boost of instant hydration. Amino-acids reinforce the skins natural barrier to seal in moisture for a long-lasting hydrating effect. Contains wrinkle-reducing Adenosine and a moisturizing peptide, Diffuporine, which helps supply continuous hydration. Amino acids ensure all-day smoothness. Extracts from plants and flowers help to promote healthy and supple skin. Recommended for rough and dry skin and/or skin with fine lines and wrinkles.